ROOKIE Rosario is playing with the savvy of a veteran, so much so that he is being given the ball in crucial situations. 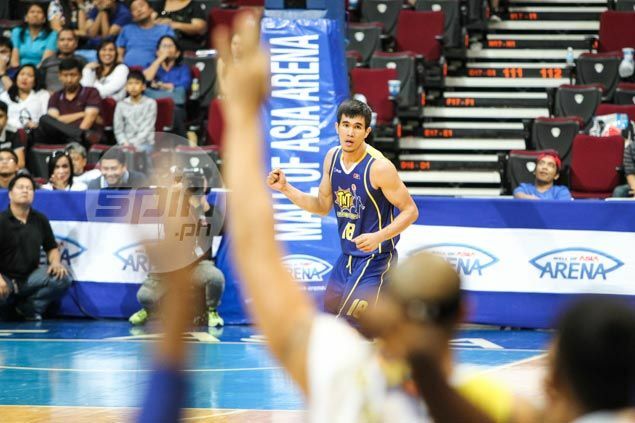 The TNT first-year forward, named Accel-PBA Press Corps Player of the Week for the period of April 11 to 17, came up with a fine performance in TNT’s series opening win against Alaska and had a chance again in the second match although he missed the potential game-winning trey. Rosario, who had 31 points and made 7-of-10 shots from beyond the arc, beat Rain or Shine wingman Jeff Chan, Alaska's Calvin Abueva, Star rookie guard Mark Cruz and San Miguel slotman June Mar Fajardo for the weekly citation. The lanky forward out of National University seemed comfortable playing the three-spot in the PBA Commissioner's Cup after averaging a scorching 45.2 percent from three-point zone.